cut the tomatoes into 8 pieces if big, if not then 4 and marinate with the garlic, salt and olive oil . add the asparagus, and sprinkle the pomegranet seeds all over. mix the liquid of the tomato marinade with more olive oil, salt and vinegar of your choice. 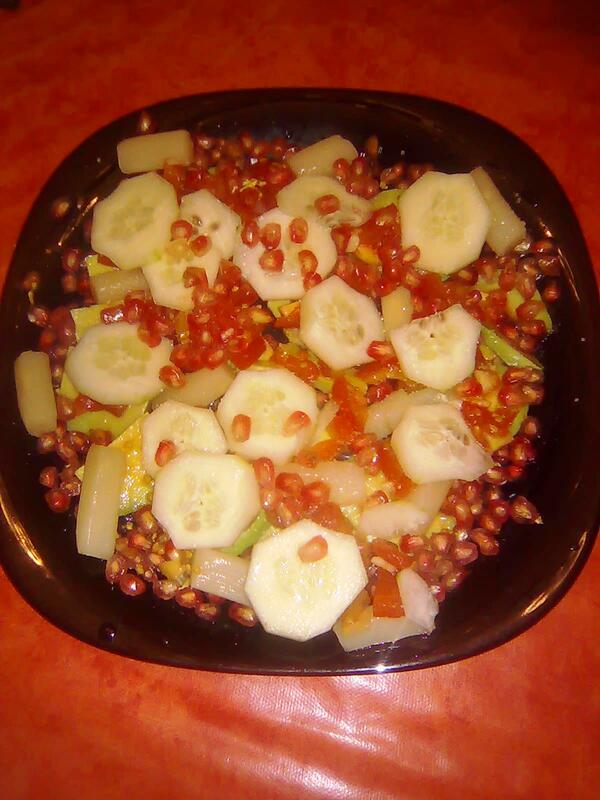 This entry was posted in Salads and tagged fruit, pomogranet, salad, tomatoes. Bookmark the permalink.